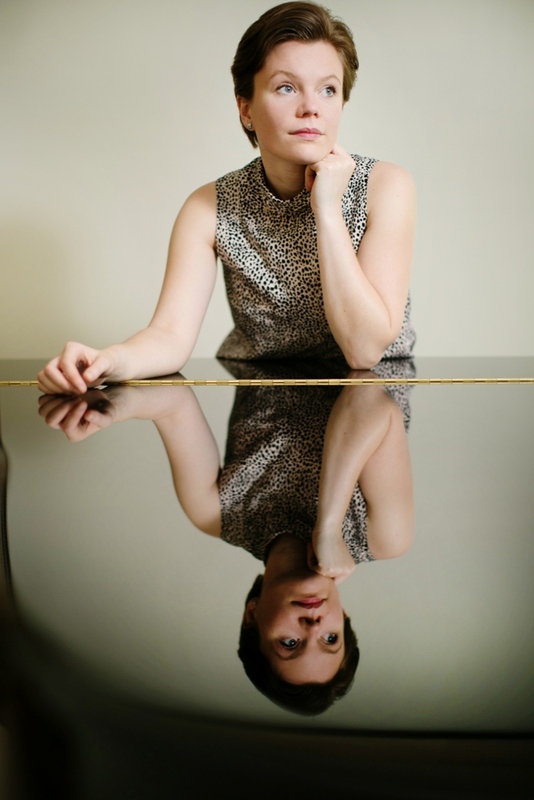 The Pharos Arts Foundation presents a piano recital with the brilliant Clare Hammond – one of the most acclaimed pianists of her generation and recent winner of the Royal Philharmonic Society's Young Artist Award. For her recital in Cyprus, on Wednesday 14 December 2016 at The Shoe Factory, Clare will perform a unique programme of works by Beethoven, Bach, Medtner, Stravinsky and Dutilleux. Acclaimed as a pianist of “amazing power and panache” (The Telegraph), Clare Hammond is recognised for the virtuosity and authority of her performances and has developed a reputation “for brilliantly imaginative concert programmes” (BBC Music Magazine, ‘Rising Star’). She recently won the Royal Philharmonic Society's Young Artist Award, in recognition of outstanding achievements in 2015. Over the past year Clare has performed at the Barbican Hall, where The Guardian described her as a "dazzling athlete", gave five broadcasts for BBC Radio 3, and has recorded discs for Sony, BIS and Signum. In 2014, she gave debut performances at seven festivals across Europe, including the Chopin and his Europe Festival in Warsaw. Highlights in 2016 included a performance at the Royal Festival Hall with the Philharmonia, and a concerto tour of Poland, with a newly discovered work by Josef Myslivecek, a mentor of Mozart. Over the autumn, she curated three concerts for the BBC at the Belfast International Arts Festival, which were broadcast as part of the BBC Radio 3 Lunchtime Concerts series. In future seasons, Clare will make world premiere recordings of two keyboard concertos by Myslivecek with the Swedish Chamber Orchestra for BIS. Clare’s most recent disc for BIS Records, of music by Ken Hesketh, has been widely praised with the Observer describing her as a “star interpreter of contemporary music”. Her previous release, Etude, received unanimous critical acclaim for its “unfaltering bravura and conviction” (Gramophone) while the BBC Music Magazine stated that “this array of wizardry is not for the faint hearted”. Etude, and Clare’s previous disc of music by Andrzej and Roxanna Panufnik, Reflections, have been featured on BBC Radio 3’s ‘In Tune’ and ‘CD Review’, and on radio in Switzerland, Sweden, the Netherlands, the US and Canada. In 2014, Clare gave a Panufnik Centenary tour of Poland with a series of recital and concerto performances, under the auspices of the British Council’s Artists’ International Development Fund. Her debut recital at the Chopin and his Europe Festival in Warsaw was recorded for broadcast on Polish Radio. Clare also co-curated and managed the festival ‘Panufnik 100: a family celebration’ with the Brodsky Quartet at Kings Place in London which was hailed as the “culmination of this year’s Andrzej Panufnik centenary” (The Telegraph). Contemporary music forms an important part of Clare’s work. She has given 24 world premieres including those of major works by composers Robert Saxton, Edwin Roxburgh, John McCabe and Arlene Sierra. In 2015, she premiered and recorded concertos for trumpet and piano by Geoffrey Gordon and Toby Young with Simon Desbruslais and the English Symphony Orchestra, to be released on Signum Records. An active chamber musician, Clare is a member of the Odysseus Piano Trio alongside violinist Sara Trickey and cellist Gregor Riddell. She has also worked with the Brodsky, Endellion, Badke, Dante and Piatti Quartets and with Henning Kraggerud, Andrew Kennedy, Jennifer Pike, Philippe Graffin and Lawrence Power. In November 2015, she made her film debut as the younger version of Maggie Smith’s character, Miss Shepherd, in the Alan Bennett film adaptation, The Lady in the Van, directed by Nick Hytner. Clare completed a BA at Cambridge University, where she obtained a double first in music, and undertook postgraduate study with Ronan O’Hora at the Guildhall School of Music & Drama and with Professor Rhian Samuel at City University London. She completed a doctorate on twentieth-century left-hand piano concertos in 2012 and is in demand as a speaker, regularly giving presentations for research series at universities across the UK. In 2014, she was paired with French pianist Anne Queffélec on the Philip Langridge Mentoring Scheme run by the Royal Philharmonic Society.